HipNotique can special order any Dune Dewelry item from their latest lookbook. Click the cover below to check out the full lookbook. Choose your items and then call HipNotique at 941-347-7250 for ordering details. It’s not just a card…it’s a gift! 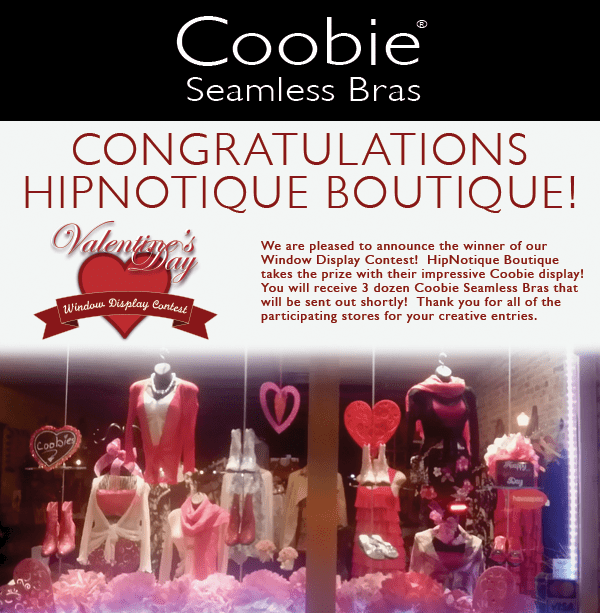 Punta Gorda’s own HipNotique Boutique wins International contest sponsored by Coobies Seamless Bras. Thanks Alice Hernandez, our newest member to the sales team and window dresser Extraordinaire! This would not have happened without her creative juices. Environmentally aware and stylish. At Mona B, their mantra is that one man’s trash is another man’s treasure. By combining up-cycled, re-cycled, re-used fabrics with vintage materials, Mona B looks to have an impact on the world, both stylistically and environmentally. 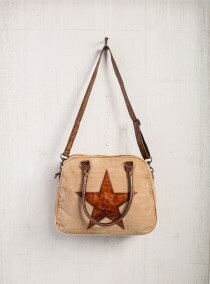 Come to HipNotique and check out our collection of Mona B handbags, wine bags, accessories, clothing and more. 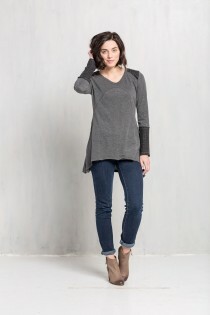 Mona B is a place where vintage meets urban street style and fashion meets environmental awareness. Mona B was launched earlier this year after a strong sense of wanderlust led us to Barcelona. 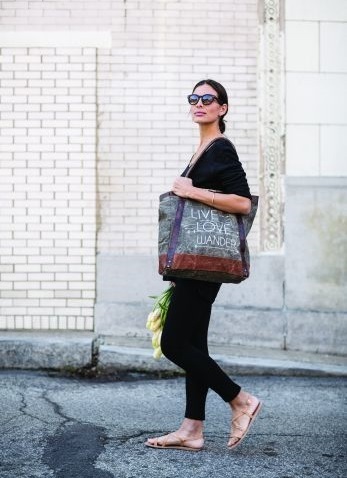 Our products are designed using a mixture of new and upcycled fabrics, because we truly believe that one person’s trash can be another’s treasure. 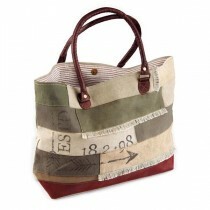 While we put in a great effort to reuse and recycle, at Mona B we never forget the fashion aspect of it. After all, fashion is our first love. The combination of recycled and vintage-looking materials, and our one-of-a-kind details and printed graphics, maintains the ideal blend of vintage and street style. OPEN LATE for the Punta Gorda Gallery Walk! Open until 8PM on the Third Thursday of every month. Get More Updates from HipNotique! "Like" our Facebook page and check back daily for updates. Sign up for Email Updates with Special Offers and Coupons!